OF COURSE, WE’RE GOING TO BE SLIGHTLY BIASED WHEN WRITING THIS LIST SINCE WE THINK A TANDEM PARAGLIDING FLIGHT WITH US IS THE BEST THING YOU COULD DO IN COSTA RICA. 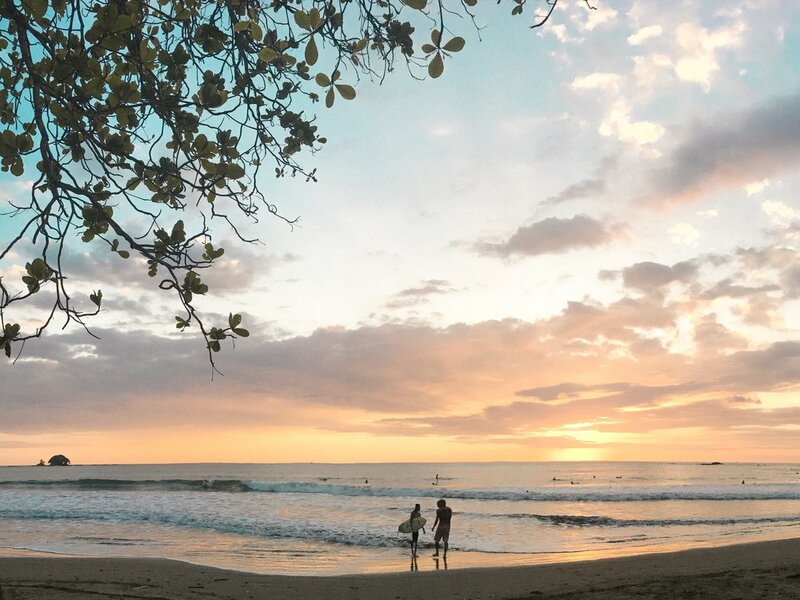 BUT, FOR THOSE OF YOU WHO WANT TO MAKE THE MOST OF YOUR TIME HERE ON THE WEST COAST OF COSTA RICA, WE HAVE PUT TOGETHER A LIST OF SOME OF THE BEST SPOTS TO VISIT AND ACTIVITIES TO DO. Like we said, this was always going to be number one on our list. Fly tandem with one of our highly skilled and qualified pilots above the canopy of the jungle from Cerro Escalares. The take-off location is located at 750 meters above sea level in the mountains just behind Dominicalito beach. The beauty of paragliding starts the minute you step out of our shuttle at the top of the ridge. With breathtaking views of Dominicalito beach, the whale's tale at Uvita and Manuel Antonio national park, think what more you can see once in the air. Taking off couldn’t be easier, just listen to the safety briefing from your pilot and do as they say. Once in the air, relax, let go and enjoy. Feel the cool ocean breeze in your hair and turn through the air with grace and style. After an exhilarating 20 minute flight, we will land you safely back on the ground for you to continue your day in paradise. Tucked away behind Dominicalito beach, across the Panamerican highway, you can find this gem. A freshwater waterfall and lagoon await you here. Cool off from the afternoon heat and swing from the rope into the plunge pool. A must visit for foodies and those who want to take something home that is a little more artisanal. From fresh produce and grocery shopping, street food and coffee, to beautifully crafted gifts and natural cosmetics, there’s plenty of treasure here to be found. We recommend trying the turmeric tea, Té Namaste (see what they did there? ), not only as a delicious warm treat but it’s also packed with amazing goodness and the anti-inflammatory properties of turmeric. 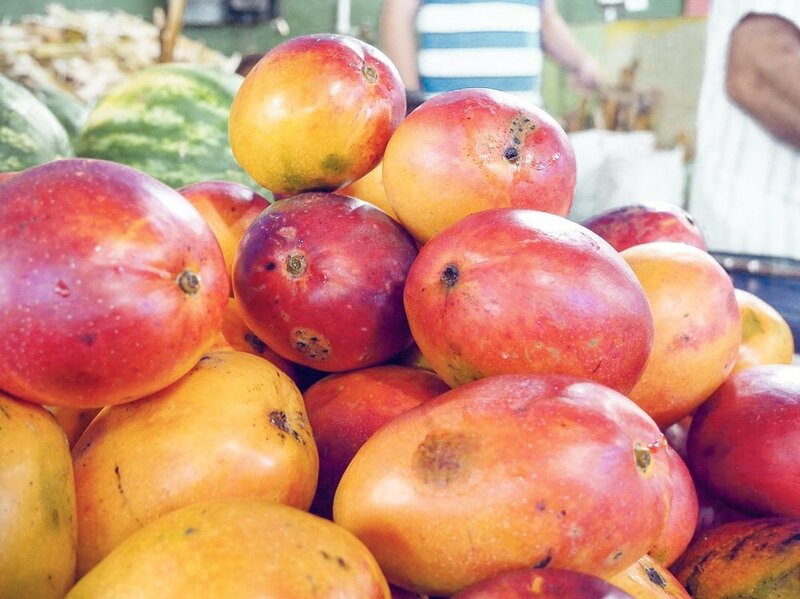 Feel the true community spirit of Costa Rica in one place as locals and expats from all over the world come together to share their trade with you. Open every Tuesday early until midday. Go by car: Take the 243 highway from Dominical and follow until Tina Maste, you can’t miss all the cars parked in the road for the market. Go by local bus: Leaving from Dominical beach outside Cocos Bar, take the bus towards San Isidro (also known as Perez Zeledon). Just ask the bus driver to stop at the market when you get on. An obvious one but not one to miss. For those that are pros, you can surf the big waves on Dominical. Beginners can rent a board and head down the road to Domincalito beach. Inside the small bay are gentler waves and hopefully you can catch your first one here. 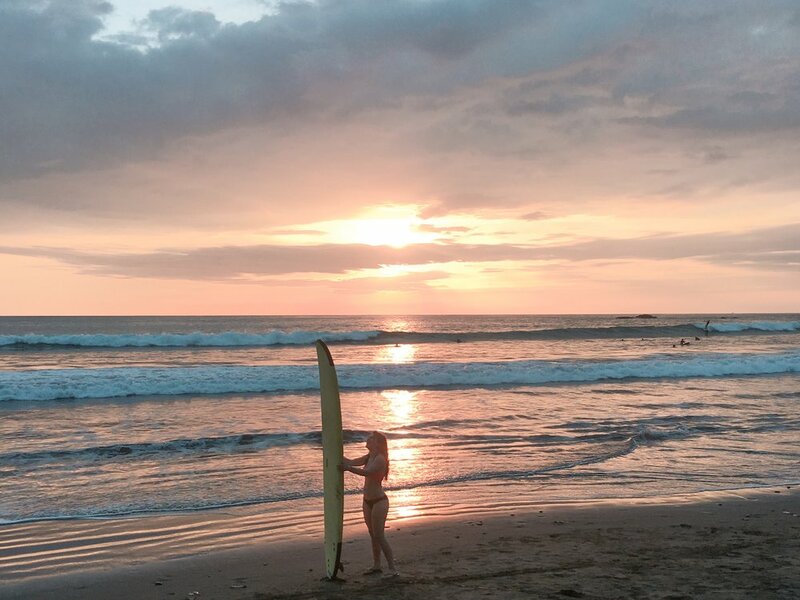 Either go it alone and rent from the beachside hut or enrol in a half day class with one of the many surf schools found in Dominical. A beach of outstanding beauty and situated in a national park, Playa Ventanas is South from Dominical just past Uvita. Palm trees grow around the beach creating ample shade from the strong sun, also adding a little something to the atmosphere. We suggest visiting at low tide since you can enter the beachside caves and explore a little more. Saying that, we wouldn’t recommend trying to swim through the water and out through the cave to the ocean, the swells can get a little rough. Admire the beauty inside and then walk out on the beach and paddle into the open ocean to feel cleansed in the Pacific. Pura Vida!